(Newser) – Henry Cobbs, 77, is a 22-year military veteran who served in Vietnam and retired as an Air Force captain; he has two master's degrees and a doctorate; he's worked extensively in education and and had served as the dean of academics for the Air Force Special Operations School (AFSOS) at Hurlburt Field near Fort Walton Beach, Fla., since 2009. But he was forced out of his job at the elite military training school last month—because he vaped cannabis as part of his treatment for prostate cancer. 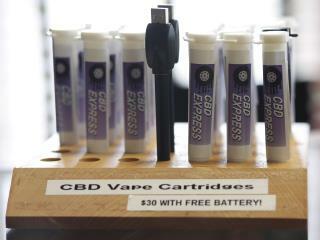 Cobbs' doctor prescribed cannabidiol (CBD) oil, and Cobbs purchased it from his doctor's office. CBD oil does not contain tetrahydrocannabinol (THC), the psychoactive component of cannabis. In May, Cobbs received a "Notice of Removal" citing his use of a Schedule 1 Controlled Substance; it said that a witness saw Cobbs "smoke your 'medicine.'" He appealed, but the appeal was rejected in August, the Sarasota Herald-Tribune reports. wait CBD isn't illegal at all wtf? The government lied and is still lying about marijuana. They cannot prove their Schedule 1 claims regarding pot. Their abuse of free American citizens regarding marijuana is tyrannical.